As winter gets closer and radiators are yet again becoming an important part of one’s home, a renowned provider of radiators in the UK, Radiator Hut, has launched an extensive collection of vertical designer radiators. Along with a sleek design and elegant look, each radiator in their collection provides a practical heating solution for all rooms. The radiators don’t require as much wall space as usual horizontal radiators and can be placed in small, tight hallways, tiny cloakrooms and small en-suites. The radiators are a combination of new and contemporary designs, measuring 1200mm to 1800mm in height. 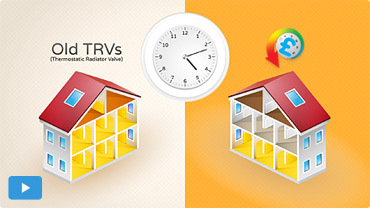 The radiators produce maximum heat output usually more than 10,000 BTUs per hour. Some of the vertical designer radiators offered by them include 1600 x 280mm Black Flat Panel Vertical Radiator, Single, 1600 x 280mm Anthracite Flat Panel Vertical Radiator, Single, 1780 x 280mm Anthracite Flat Panel Vertical Radiator, Single, 1780 x 280mm Black Flat Panel Vertical Radiator, Single and various others.